The City of World Heritage Site. 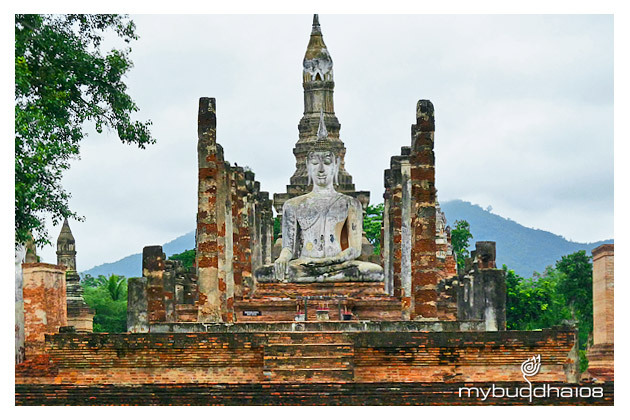 Sukhothai, which literally means "Dawn of Happiness", is located 427 km north of Bangkok and was founded in 1257. Phokhun Si Intharadit was the founder of the Phra Ruang Dynasty, Sukhothai's first dynasty. For 120 years as the capital of Thai Empire. Sukhothai was ruled by many kings, the most dynamic monarch being King Ramkhamhaeng the Great, who created the Thai alphabet. The monument was built in 1975 and situated at the north of Wat Mahathat. Today, about 193 temples are excavated and partly reconstructed in the Sukhothai historical park. Old town is very quiet, most tourists stay in new town, about 12 km to the East.